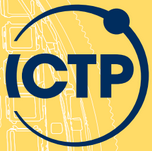 The online application form is at http://indico.ictp.it/event/8331/ . 5 – Physical implementations: cold atoms, trapped ions, nanophysics, materials. Universe Preceded by an Antiuniverse?